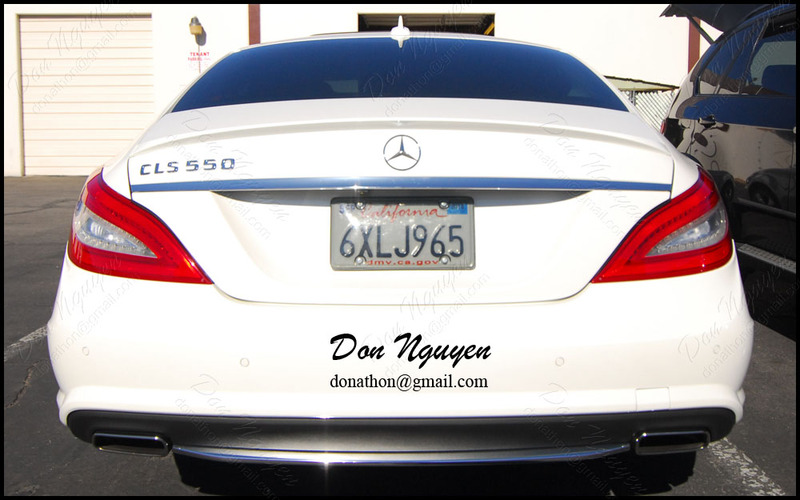 The owner of this car drove from Los Angeles to me in Orange County/Anaheim Hills to have me do some vinyl work on his brand new white Mercedes Benz CLS 550. We went with gloss black for his roof, side roof rails, and center portion of the lower bumper. Then for the chrome side window trim, we went with matte black for those. Finally, for the tail lights, I used my transparent red vinyl to red out the clear/white portion of his tail lights to give it a single complete red appearance/color.